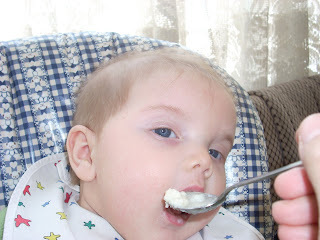 Here's Gavriel Zev eating almost his first solid foods (Materna, Daysat Orez; fancy Israeli rice cereal). 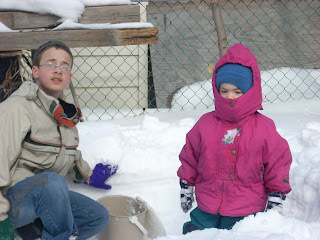 Here's Yerachmiel Meir taking Naomi Rivka out to build a fort in the backyard! 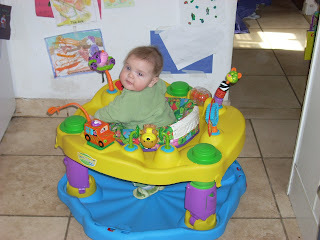 Here's Gavriel Zev in his shiny new Exersaucer! 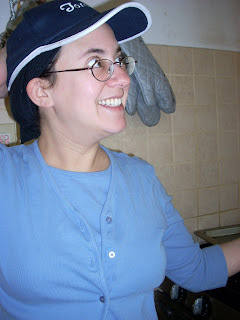 ...And here's me, SuperMama, juggling them all!!! The pics of Elisheva didn't post here, so I'll do those separately in the next post!